Alopecia Areata is characterised as one or more patches of reversible baldness in any hair bearing area. The hair loss distribution maybe circumscribed, having clearly defined borders often in a circular type pattern – a bald patch. Alopecia areata may also occur diffusely, giving the appearance of a vast area of hair thinning occurring in a relatively short period of time. Alopecia areata is thought to be caused by a malfunction of the autoimmune system. Not recognising the hair follicle as ‘self’, the immune system attacks the hair follicle as it would bacteria or virus, causing the hair follicle to enter its resting stage prematurely. Some alopecia sufferers are aware of scalp soreness or a stinging sensation preceding the onset of a bald patch due to the autoimmune response. The tendency to develop alopecia areata is thought to be genetic. Frequency is higher in those with family members also affected by alopecia areata at some time in their life. 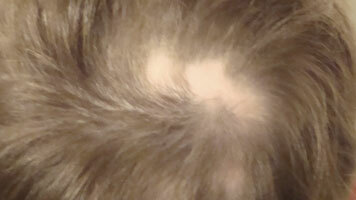 Asthma, eczema and hay fever (allergic type people) sufferers may also be more likely to develop Alopecia Areata. The course of alopecia areata is unpredictable, patches may appear suddenly – almost overnight or gradually over months, the severity differs greatly between cases. A person may develop a single bald patch or many bald patches which may coalesce (join together) to form large areas of baldness. A minority of cases progress to Alopecia Totalis (total loss of scalp hair) or Alopecia Universalis (total loss of all hair). Severed hair or ‘stubble’ a few millimetres long termed ‘exclamation’ hairs may be observed around the borders of a bald patch, an indicator that alopecia areata is active or progressing. Often confused with new hair growth by the alopecia victim, these hairs are weakened by the autoimmune response before severance at scalp level as the hair follicle simultaneously enters its telogen or resting phase. Once aware of a bald patch or bald patches, most people visit their own GP for advice. 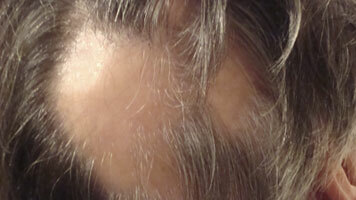 It is unfortunate but few GP’s have great knowledge of alopecia areata. At best a patient can expect basic blood tests, a prescription for topical steroid lotion and referral to a dermatologist. Sadly, many will experience an unsympathetic response to their ‘non life threatening’ hair loss concerns. If you should wait the potential 12 weeks for your appointment with an NHS Dermatologist, the response to your hair loss concerns may be just as unsympathetic or perhaps more so. The possible causes of alopecia areata are endless: viruses, inoculations, accidents, ill health, shock, periods of extreme stress, medications, a hard knock to the head – can all potentially ‘trigger’ the onset of this condition. An alopecia areata trigger is most likely to be an ‘event’ of some kind approximately 2-3 months before the onset of the first bald patch. Once established, further triggers may exacerbate the condition and cause further bald patches or a more rapid expansion of present ones. Most alopecia areata patients are extremely anxious following the discovery of their problem and many become quite hysterical. Once alopecia areata is established, further triggers may exacerbate the problem – this includes further stress or hysteria regarding the alopecia itself. Hair growth may resume as spontaneously as it ceased in some cases without need for treatment. When hairshafts resume growth, they’re likely to be fine depigmented vellus hair, white terminal hair or the victims own natural hair colour. Vellus hair is often scanty at first and grows only a few millimetres, it may slowly become terminal hair growth or it may fall out again. White hair growth may remain white or gradually become pigmented. A mixture of white and pigmented hair may also grow simultaneously. If hair growth resumes as normal colour terminal hair, it will sometimes be a shade darker than originally and frequently curly, even if it were previously straight. Unfortunately it is impossible to anticipate the type of initial hair growth until it begins to happen! Orthodox medicine largely treats alopecia areata using steroids, steroids and more steroids. Topical steroids are often prescribed initially to suppress the autoimmune reaction locally. Success is limited and suppressing the reaction in a scalp region does not prevent a new bald patch appearing elsewhere. Rarely, oral corticosteroids may be prescribed in high doses but for a short duration due to the risk of side effects. Intralesional corticosteroid injections may be administered just below the epidermis (top layer of skin) where the inflammation is present. However, they are quite painful particularly if it is necessary to cover a large area – again success is limited. 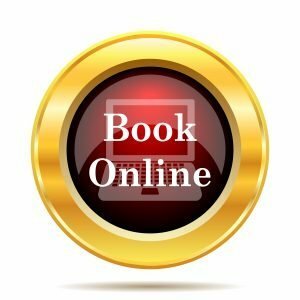 Cotswold Trichology Alopecia Areata Treatment? Of all the conditions we see, we believe Alopecia Areata patients need the most care. We start with a consultation lasting around an hour to try and establish what went wrong. We may ask that you visit your GP for a number of blood tests to rule out conditions such as anaemia or hypothyroidism. Supplements to aid the immune system : Alopecia areata is thought to be caused by an autoimmune malfunction. We have found treating alopecia areata in a holistic manner vastly more positive than topical treatment alone. Topical hair stimulants: We use both pharmaceutical and natural hair stimulants. Both have their own merit; pharmaceutical stimulants may be more effective in widespread or longstanding alopecia areata but our natural stimulants are preferred in individuals with sensitive scalps or where hair growth is present but fine. Electrotherapy may improve hair growth in combination with the above. We use UVA therapy alongside electrotherapeutic vasodilatation. This is normally administered during follow up appointments every 2-4 weeks. Follow up appointments: Alopecia areata is a physiologically damaging condition and most patients suffer significant anxiety and loss of self esteem. A trichologist’s role is not only about treatment but physiological support during this process. We allocate a full half hour of one to one time for our follow-up appointments. We examine your scalp thoroughly and update you on the progress but also give you time to talk. Most alopecia areata patients feel encouraged and less anxious when their hair begins to recover – we can even show you your new hair growth using our micro camera. Follow up appointments are important to ensure you are carrying out our suggestions properly to give your hair maximum chance of recovery. We may also change your suggested regime as your hair improves. It may be necessary to camouflage your alopecia areata patches until your hair has recovered. There are various forms of ‘scalp makeup’ available which can help blend areas of baldness in with your remaining hair. We can advise which would be most suitable, teach you how to apply it and supply you with the correct product and colour. If your Alopecia Areata is extensive, you may feel more comfortable wearing a wig or small hair piece until your hair recovers. We offer a wig fitting service and can help you choose the right wig, cut it to suit you and show you how to take care of it. Wigs for Alopecia are exempt from VAT so you will also benefit from a price reduction. The success rate is higher in individuals who seek treatment when bald patches begin, than those who have suffered for years. Please be aware that alopecia areata is an extremely unpredictable condition and that even with all of the care, treatment and suggestions we can offer we cannot provide a guarantee of success in every case.